Once again, let’s give thanks for the vast variety of food available in Malaysia. This time, we’re zooming in on desserts in particular. With things like a Belgian waffle layered with spicy chicken floss, pickled cucumber, and cream cheese; to a dessert called Papaya with Bird’s Nest and Steamed Egg White, we’re blown away by the different types of interesting desserts to try in KL. We hope you are too! 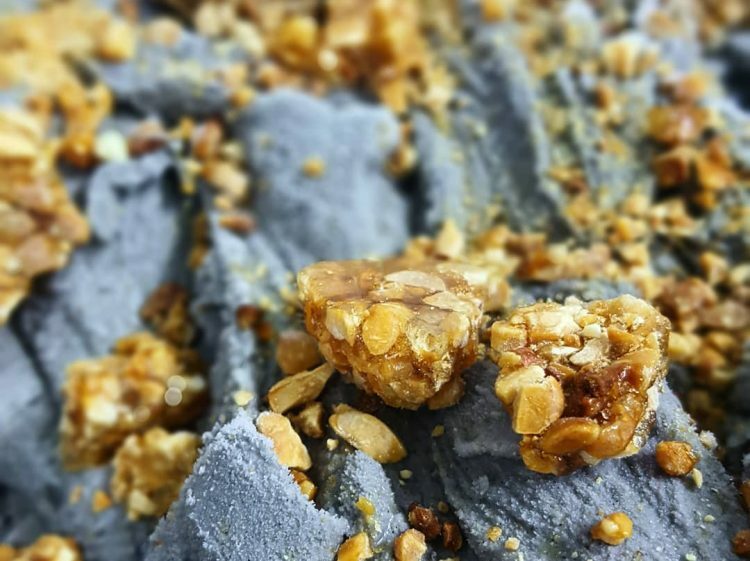 Inside Scoop’s Black Sesame with Peanut Brittles sounds like a superb Chinese wedding dinner dessert. We’re comparing it to the glutinous rice balls filled with black sesame paste, in case you’re wondering. 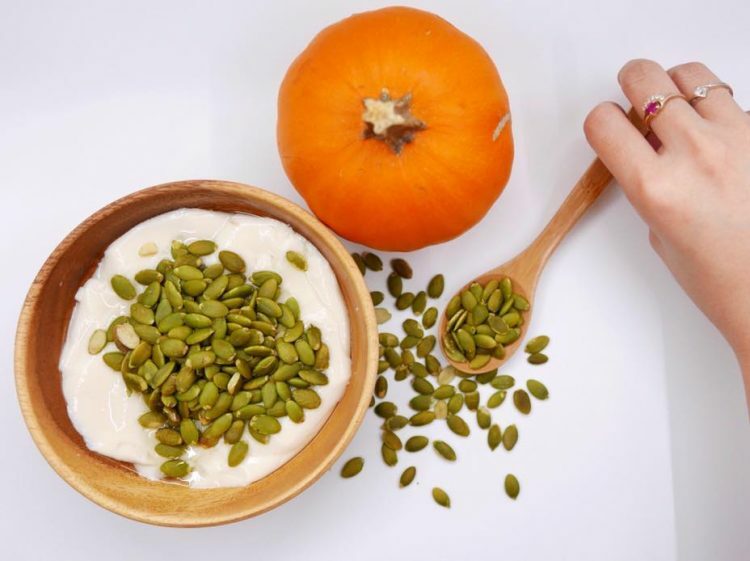 The classic flavour gets a real nutty glow up that we can’t wait to try! OK, so this might not sound too strange or unconventional, but it’s a Whisky Caramel Gelato! 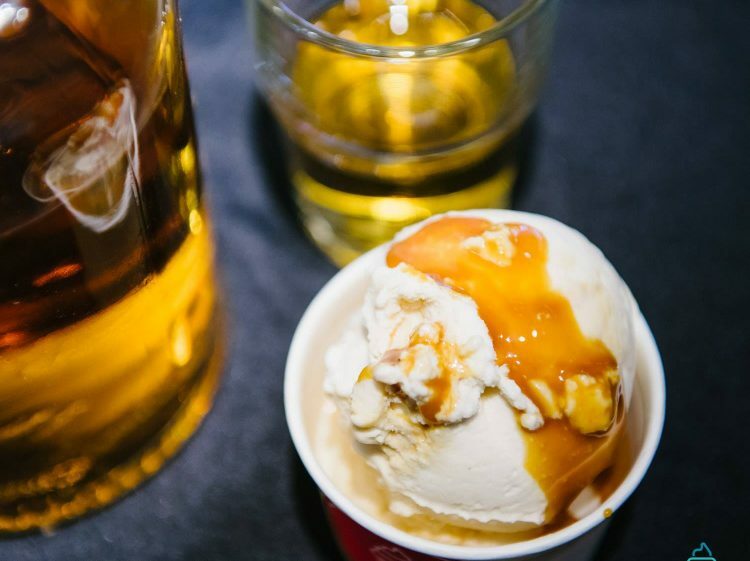 You’d think a whisky gelato was enticing enough, but then they add another of our favourite flavours. This alcoholic sweet treat is going to be haunting our dreams until we get it. Behold, Hanbing Korean Dessert Café’s Musang King Durian Bingsu and Blueberry Cheese Bingsu. We first discovered the café while on an Oreo desserts hunt, and theirs is pretty good too. 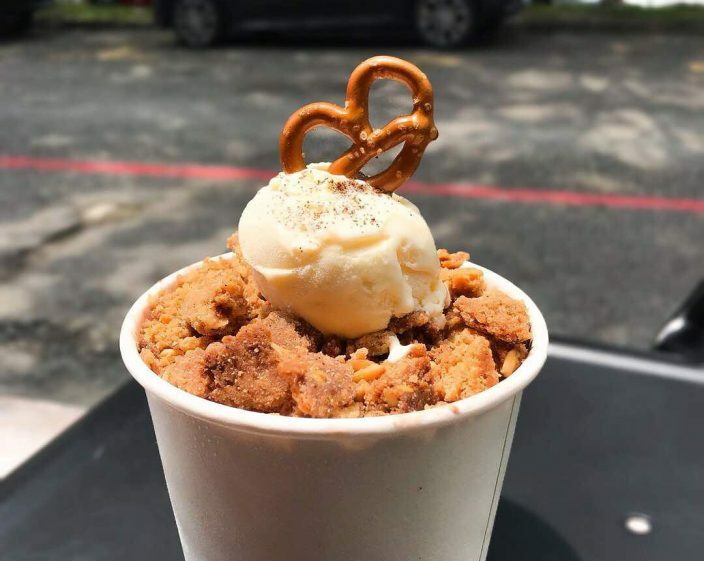 But now, we’re tempted to go back to try these two unconventional bingsu creations. Are these flavours up your alley? You’ve probably heard and tried the true Ease-meets-West dessert of pisang goreng cheese. 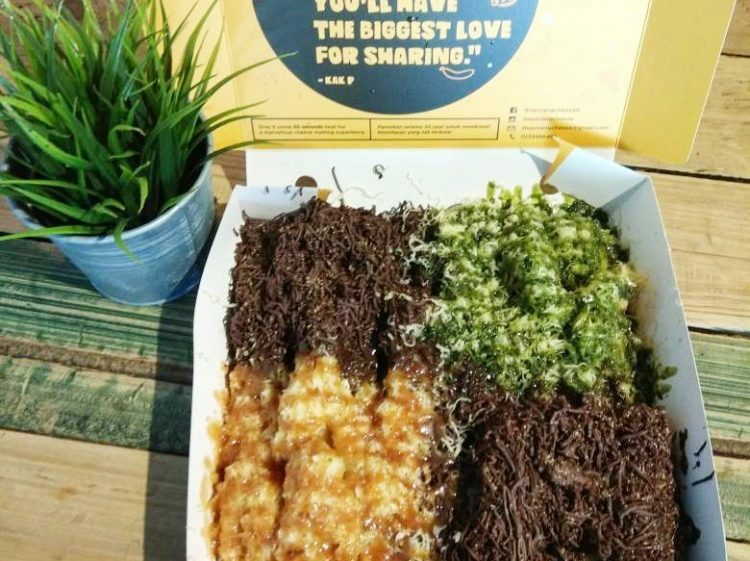 The Pisang Cheese folks however, have come up with several other flavours to entice your pisang goreng cheese curiosities. They include chocolate, matcha, cinnamon sugar, chocolate with salted caramel, white chocolate, and milky. All of them come with the signature cheese shavings, naturally. Cafe 5 Pudu serves Belgian waffles, ice cream, and specialty drinks like Bamboo Charcoal Cafe Latte, Sweet Potato Latte, and Chocha Latte. 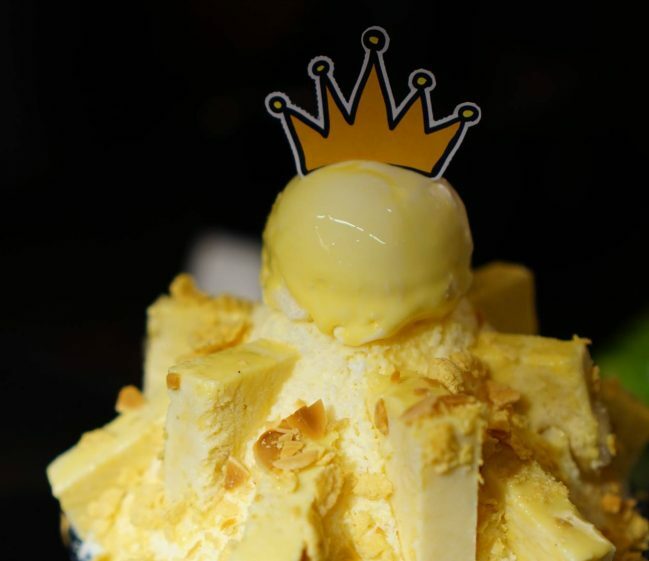 Ice cream flavours include Alphonso Mango, Hojicha with Shredded Dark Chocolate, and Salted Egg Yolk with Curry Leaves. If you think the latte and ice cream flavours are indication enough to expect other surprises, you’d be absolutely right. Pictured above is the Lion King. 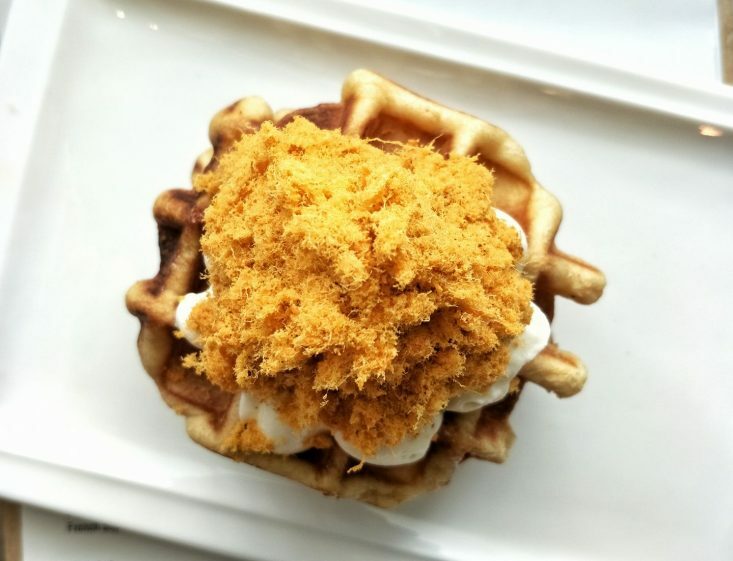 It’s a Belgian waffle layered with spicy chicken floss, pickled cucumber, and cream cheese. There’s also a waffle called Murakami; and it is built with flamed takoyaki sauce, Japanese mayonnaise, Japanese spices, and bonito flakes. 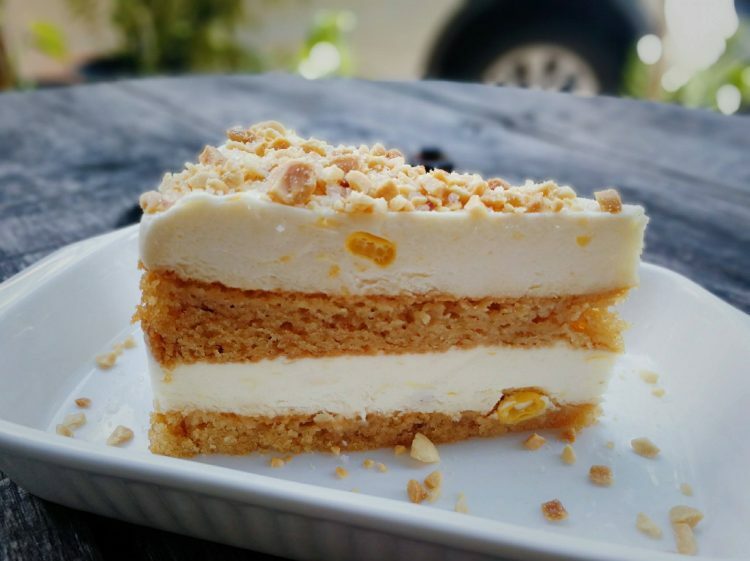 This fluffy and peanutty creation is a real life apam balik cake. Yes, you read that right! If it’s 8pm and you don’t know where to find your regular apam balik uncle, here’s a great option to hit the spot. Doors Cafe KL also serves some very pretty-looking mille crepes if you’re in the mood for other flavours. Craving apple crumble but want a healthier version? Try Acai Lab’s Apple Crumble açaí. It’s made with homemade ingredients and açaí, then topped with apple crumble and a scoop of vanilla ice cream. Yummy in the tummy! Much like the apam balik cake, this bowl of goodness is a pleasant twist of a beloved local dessert. Sunflower seeds are added to traditional tau foo fah as a source of fiber and for added crunch. Calling all lovers of waffle, ice cream, and mochi! 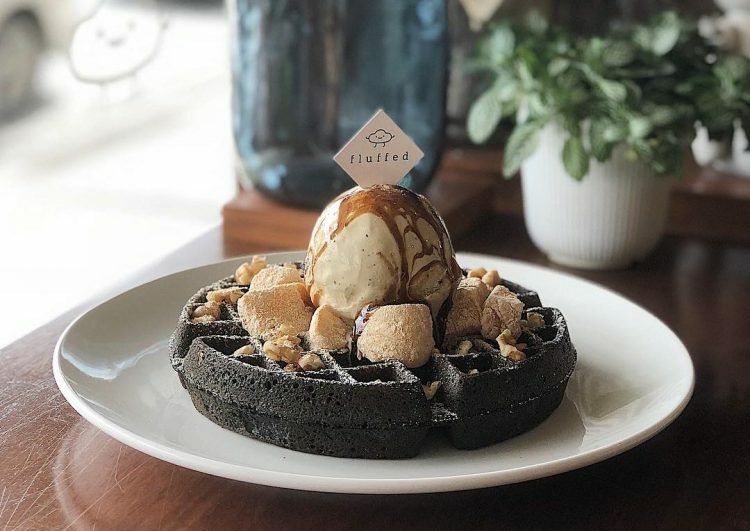 Fluffed serves up a combination of all that in the form of a charcoal waffle topped with Oolong ice cream, Japanese mochi, Kinako flour, Kuromitsu drizzle, and roasted walnuts. One more thing that caught our eye is their Apam Balik Waffle. Can you tell that we really enjoy apam balik? 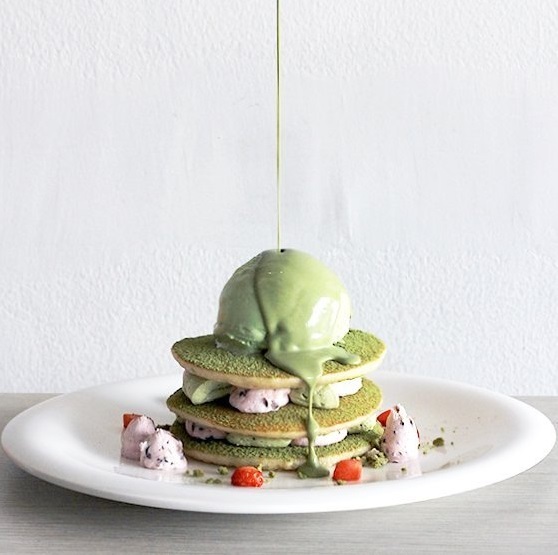 It’s been awhile since we last had pancakes, so this Midori matcha pancake by Shugatori caught our eye. Although it doesn’t sound too crazy, matcha and pancake sounds great as a dessert. As its name suggests, the folks at Foo Foo are serious about their desserts. 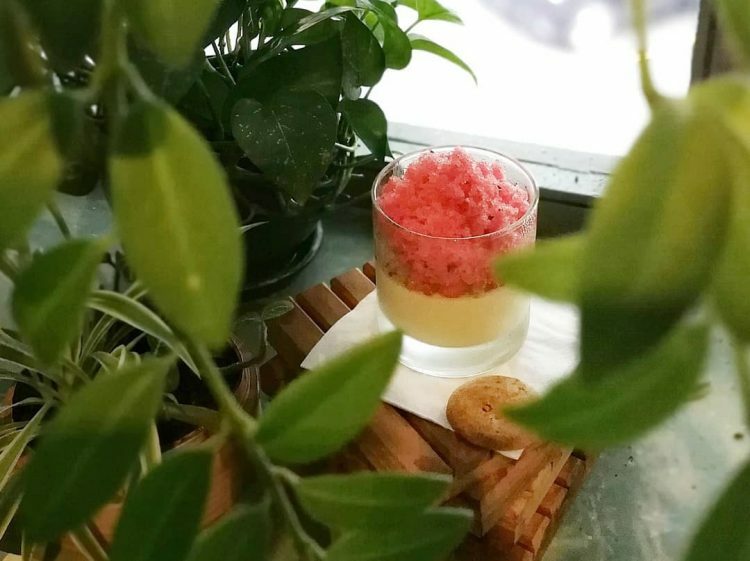 This beaut is a creamy custard infused with freshly-grated ginger that’s served with diced grapes, a watermelon-tamarind granita, and topped with a wafer cookie. Sure sounds like a summer we’d want to remember. 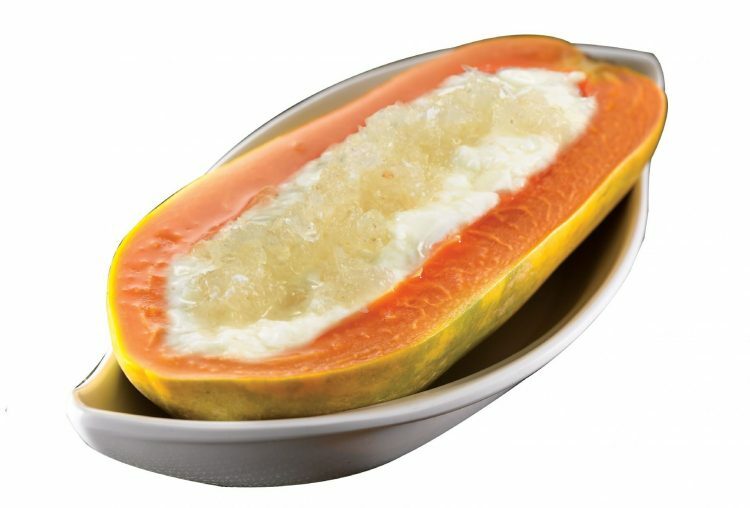 This is the first time we’ve heard of this truly unique dessert – Edible bird’s nest, steamed papaya, and egg white. It can be enjoyed hot or cold. Sweet Hut offers several versions of this, including one with fish maw, and another with honey sea coconut in place of the bird’s nest. This little cutie is cotton candy. But what’s interesting about this dessert is that it’s sitting on a pile of bingsu. 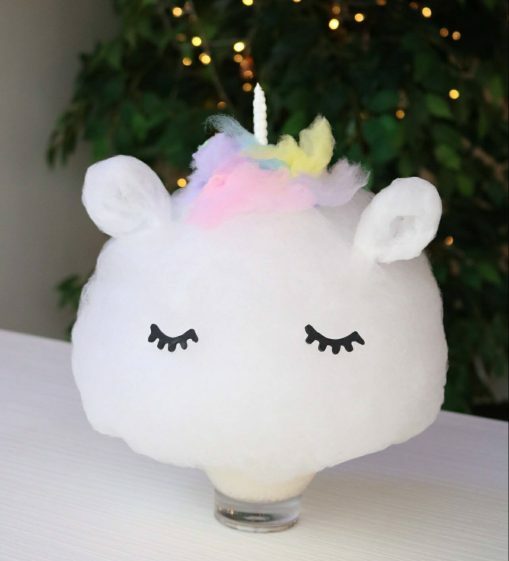 According to the cafe’s Facebook post, this unicorn bingsu is currently off-menu, so you’ll have to ask the staff for this; they’ll know what to do.